Welcome to Smoke Different Electronic Cigarette Shop, Dublin. We were the second electronic cigarettes shop to open in Dublin. Since our first day we have provided our customers with only the best branded devices and e­liquids on the market. 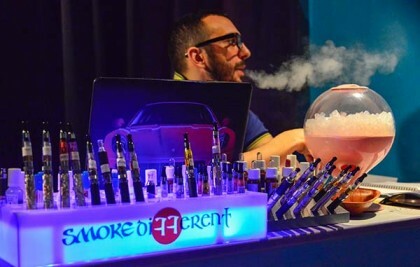 We work with companies such us D.E.A, FlavourArt, Alternative Smoking, Enjoy Svapo, Perfume Apprentice, Kanger, Anyvape, Innokin and more… to provide you with the best quality at the most competitive prices. Come and visit our e­Juice bar where you can try all our flavours before buying! You can pop in to our shop and Vape Café at 85 Capel Steeet in Dublin for personal service and advice, or simply order online for fast home delivery. With our experience and passion we can guide you in your choice of e-cigarettes, accessories and eliquids that most suit your needs.